At Powerhouse Cycling we implement the latest proven scientific training methods to ensure you reach and maintain your peak fitness. Your fully personalised training program will help you develop and refine your strengths, and improve areas of weakness by analyzing your racing performances and assigning workouts to specifically work on those aspects of racing. We aim to provide you with a coaching experience that inspires you to reach your full potential. 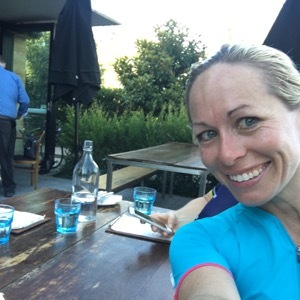 My personal cycling career began at the age of 10 when I began racing on the track and road and cultimated 18 years later, after racing for Australia in a career spanning a decade. During this time I spent seven seasons in Europe, being an integral part of teams winning World Cup races, Grand Tours and the Australian team competing at the Road World Championships on five occasions. From being a junior world road race medallist in 1998, to winning the gold medal at the Commonwealth Games in 2006 – I have a vast knowledge of the racing scene from junior to senior and club level to the pinnacle races of the sport. Since 2009, I have worked extensively with the New South Wales Institue of Sport cycling program, coaching and mentoring athletes on both the track and road. Athletes I have worked with have gone to win both junior and senior World Championship medals. I am currently an accrediated Level 2 Track and Road Cycling Coach. I have a Master of Sports Physiotherapy and am passionate about getting the best out of one’s body both on and off the bike. Success. Coach Natalie Kaebisch has been notified of your message.